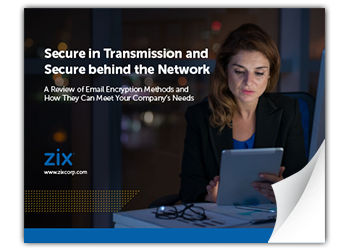 Encryption can be used to secure your email in transit and can also be invoked to protect the message both in transit and within the company. In order to determine the best method for your organization, you need to understand your company's needs and how encryption works. Read this ebook for an understanding of the different methods and how they fit your needs.